Maryland’s 2016-2017 public oyster harvest season begins Oct. 1 and runs through March 31. The opening month is reserved for divers and watermen using shaft and patent tongs. Last season, 1,146 licensed Maryland watermen harvested 383,090 bushels of oysters with a dockside value of $14.9 million. 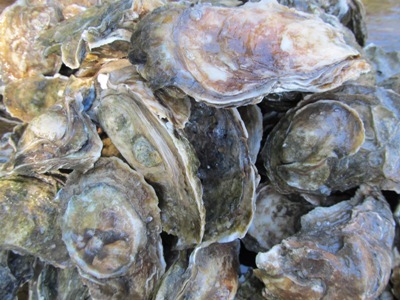 This was a slight decline from the prior season of 393,588 bushels, which was the second highest in 15 years primarily due to good oyster reproduction in 2010 and 2012 and strong survival rates. The department’s 2015 Fall Oyster Survey showed a relative low spat set with mixed recruitment success, which may indicate an average-to-declining oyster harvest this season. Maryland’s oyster population still has far to go before being considered recovered. To protect this species from poachers, who harm both ongoing restoration efforts as well as oystermen, Maryland Natural Resources Police will deploy water patrols, conduct aerial and radar surveillance, and inspect wholesale and retail establishments. District court judges with special training and experience will hear the cases. The busiest portion of the oyster season will kick off Nov. 1, when harvest methods expand to include sail dredging and power dredging in designated areas of Calvert, Dorchester, Somerset, St. Mary’s, Talbot, and Wicomico counties. Watermen may work Monday through Friday from sunrise to 3 p.m. in October and January through March, and from sunrise to sunset in November and December. The minimum harvest size is three-inches. The daily limit is 15 bushels per person, not to exceed 30 bushels per boat.